Little boys in bow ties melt our hearts. This Valentine’s Day, dress up your dapper dude in one of these handmade bow ties from Xoelle — and everyone will swoon. Xoelle creates all of their bow ties by repurposing recycled and vintage neckties. Available in a variety of fun colors, designs and patterns these sweet little accessories will add a ton of fun to your son’s wardrobe. 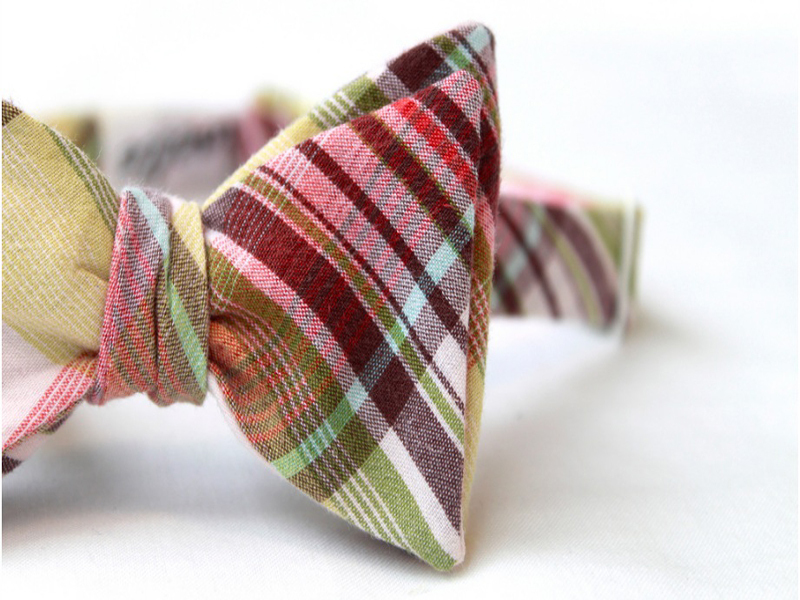 Is the above plaid bow tie (your main photo) available? Little boys in bow ties melt our hearts. This Valentine's Day, dress up your dapper dude in one of these handmade bow ties from Xoelle -- and everyone will swoon. Xoelle creates all of their bow ties by repurposing recycled and vintage neckties. Available in a variety of fun colors, designs and patterns these sweet little accessories will add a ton of fun to your son's wardrobe.